Goa never ceases to surprise me; pleasantly so. Even on my worst trip getting there (read: standing outside the toilet in the train’s general compartment), it offered me yet another reason to keep coming back. 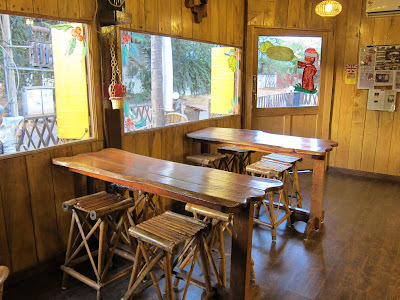 Located in a non-descript by-lane leading to Candolim Beach, I fell upon Guanaja Chocolate Café. It was a refreshing change from the usual cafes and dining places Goa’s known for. 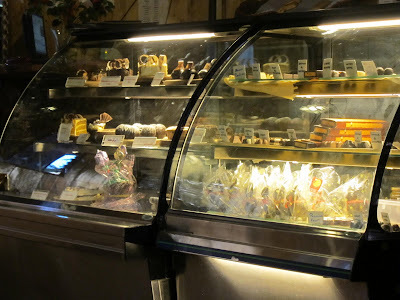 Encased in chocolaty wood, the café has cosy seating with an indoor air-conditioned seating area and an outdoor space. A combination of wooden tables, cane chairs, a shelf laden with books on chocolates, desserts and the kind—I really couldn't have asked for more. But I was glad to receive it nonetheless. 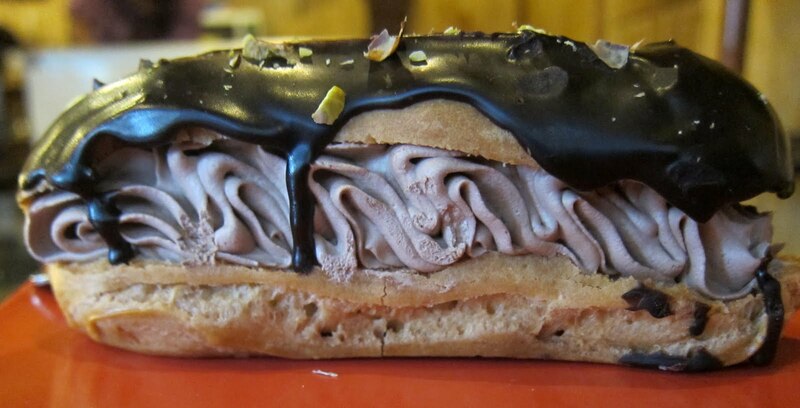 A strong Lavazza coffee paired with a gorgeous éclair was just perfect! I even got a piece of chocolate with the coffee. 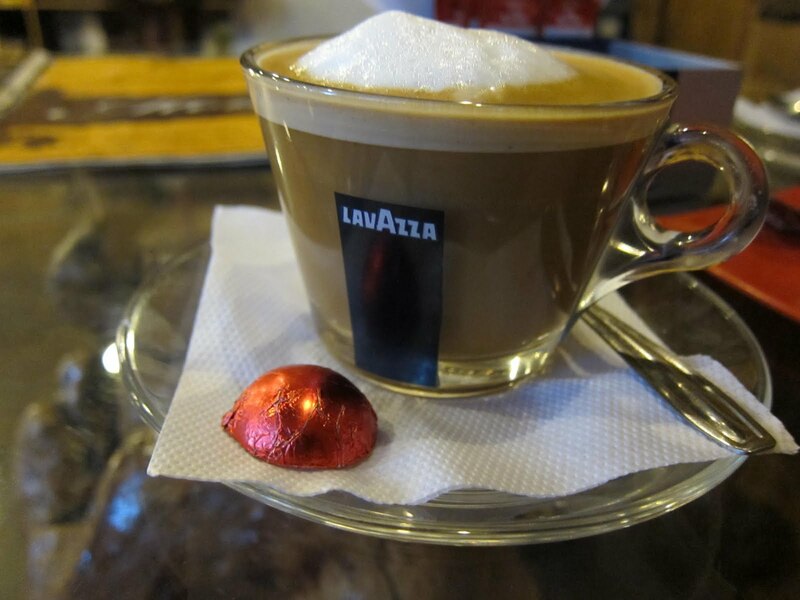 A chat with the owner, Executive Chef Savio Monteiro, revealed that the café is named after a region in Honduras, called ‘Guanaja’, famed to produce the best cocoa beans. 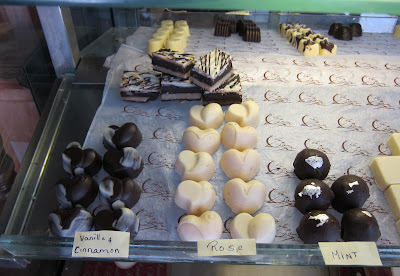 The chocolate counter is filled with fun flavours such as pepper, lemongrass, wheatgrass and rose. I was, however, a tad disappointed with some of these chocolates as they lacked the said flavour. To maintain a balance of sweet and salty, the café also house breads like focaccia, baguettes, fudges, sandwiches, together with truffles, pralines, brownies, cookies, cakes, pastries, chocolate fondue and milkshakes. 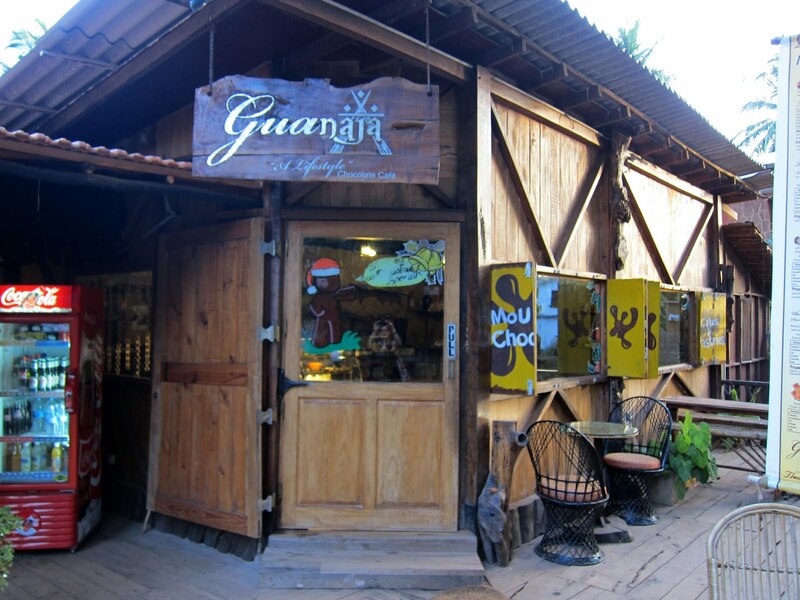 Guanaja for me fit the criteria of a laid-back café experience. Decent food, good coffee, yummy desserts and a relaxed vibe—if this is what you’re looking for, Guanaja Café’s be a good bet. A chocolate brown-coloured thermacol chef!